The saying goes that “it” (the world/life/politics/beliefs/love and so on and so forth) is not black and white. But what if it was? Surely life would be a lot easier. Rules and expectations would be clear-cut and to the point. If the choice of colour was not an option, all decisions would be a lot easier, right? If we look at old films, photographs, TV, and documentaries which were shot in black and white, we hark back to what appears to be a graceful and elegant world. Simple, classy, well-organised and put together: even the music that accompanies the films/TV shows/documentaries evokes a simpler and more innocent time. I know that in reality, life was not quite so straightforward… we had a Great Depression and a couple of World Wars to prove it. (It is true that as soon as black and white meet, shades of grey inevitably appear.) But, sometimes, it would be nice to imagine that back then, in the era of black and white, they had life sorted. However, that is what we have art and film and photography for; we use it as a means to escape our own reality, or even as a means to help us understand it. If black and white highlights the contrasts then colour blends them together, so sometimes it is necessary to just take a step back and go back to black and white for a moment to see what is truly important. Picasso understood this, and we can see this very clearly in his series of black and white palette explorations. He strongly believed that colour weakens the structure and independence of line and form, so he went back to the basics and a simple, but strong, palette. It can be seen through different periods of his work, from the Rose and Blue periods, through to Cubism, and even in Surrealism; thereby proving that this was not just a passing flight of fancy. 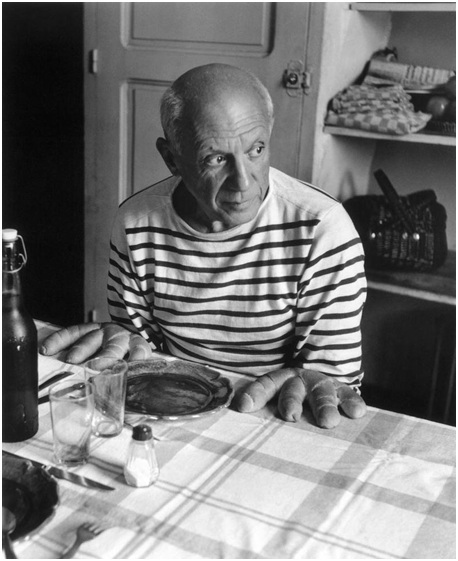 Picasso was to influence some very big names in the art world, including Jackson Pollock and Arshile Gorky, and their black and white pieces may be said to especially reflect the intensity of Picasso’s own works in these tones. His influence and experiments in the area of black and white on form and structure have filtered through into other areas of art as well. Photographers such as Annie Leibovitz have learnt that reverting to black and white can greatly enhance their composition and subject, which has certainly led to other photographers taking their cue from her (which I am sure that many female fans of Jake Gyllenhaall and Ryan Gosling are very grateful for!). 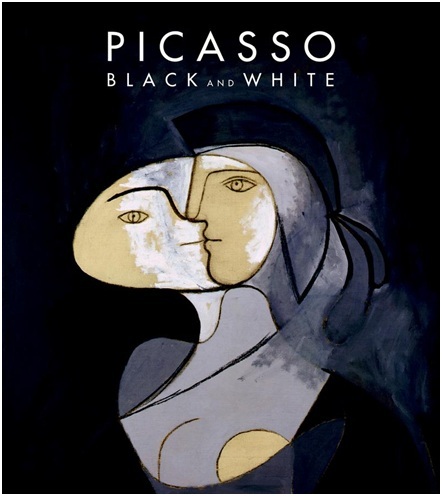 To find out more about Picasso’s mastery over monochrome, head over to the Museum of Fine Arts, Houston which will be holding a Picasso Black and White exhibition until the 27th May. If the Lone Star State is a bit of a hike, as an alternative, why not pick up a copy of Picasso by Victoria Charles?